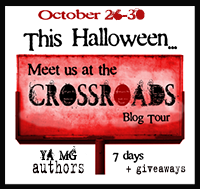 Day 6 of the week-long 2015 Crossroads Blog Tour spotlights author Heather L. Reid. We thank the authors for taking the time to answer our questions. Don't forget to enter the giveaway. This tour, presented by Leap Books, can be followed on Twitter @TheCrossroadsBT and Facebook. 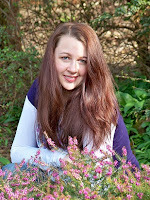 Heather L. Reid writes character driven YA urban fantasy, paranormal, and speculative fiction and is the author of the Pretty Dark series (Month9Books) She is both American and British and has called six different cities in three different countries, home. Her strong sense of wanderlust and craving for a new adventure mean you might find her wandering the moors of her beloved Scotland, exploring haunted castles, or hiking through a magical forest in search of fairies and sprites. When she’s not venturing into the unknown in her real life, she loves getting lost in the worlds of video games or curling up by the fire with good story. For now, this native Texan is back in the Lone Star State, settling down with her Scottish husband and writing whatever new tales of fantasy her imagination dreams up. What is your creepiest memory? The re-occurring dreams of faceless entities, of black figures standing by my bed whispering in the deep shadows of my childhood room. What is your favorite thing to do during the Halloween season? PJ’s on. Popcorn ready. Lights out. Let’s watch some horror movies! It’s been five weeks, two days, and eight hours since Aaron vanished without a trace. Everyone wants her to move on, but Quinn can’t, not after his spirit—or something—appears to her at his memorial, convincing her he’s still alive. 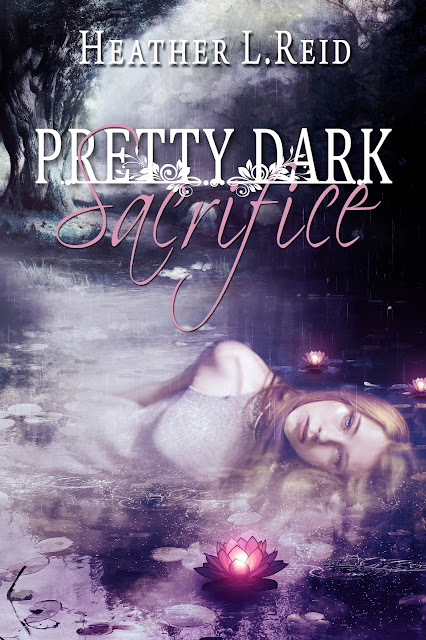 When a mysterious box materializes on the very spot where Aaron disappeared, Quinn finds herself at the center of an ancient prophecy of betrayal, revenge, and sacrifice that takes her to the depths of the underworld to face Lilith—Adam’s first wife. If Quinn can stop Lilith from unleashing the demon horde Eve trapped inside the box during the Battle of Eden millennia ago, she will save the human realm and free Aaron from an eternity in torment. All it will cost her is her own blood. I like staying up past my bedtime watching scary movies!